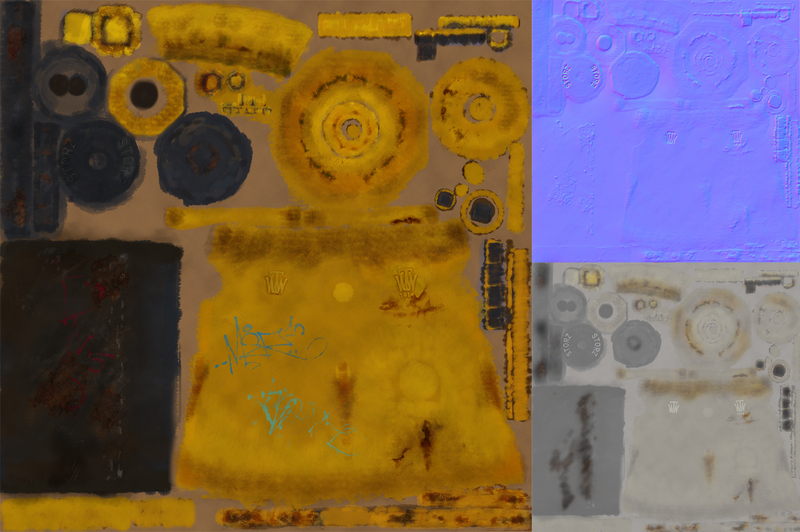 I created a prop texturing assignment that would allow students to apply what they'd observed - the wear and tear that comes from heavy use and being exposed to the elements. 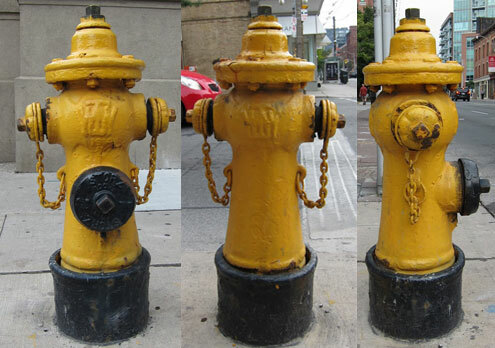 The prop I chose was a 98-year-old fire hydrant in the City of Toronto. I did a fair amount of research in order to frame the assignment properly. The corner where this hydrant has sat for almost a century is near the site of 2 major Toronto fires and has clearly been painted maybe dozens of times. Here's the hydrant I textured. It was modelled for me by my multi-talented husband, Phil Bonner. I didn't try to copy the hydrant's markings exactly. I tried to weather the paint on my hydrant and add markings such as rust and graffiti to make it look as old and well-used as the original.